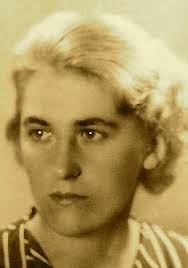 The famous Polish poet Anna Swir has written some of the most beautiful and deeply stirring poems I have come across. Her poems dives deep into the frailty and the power of a woman's spirit.Her poetry is devoid of usual poetic embellishments and is purposeful, direct and simple with profound reverence for life.She often paints pictures in your mind so real and tangible that it is guaranteed to leave you gasping for emotions that you may not have known existed within you. The belongings of the dead, especially clothes, evoke an intense emotional response when the deceased was intimately attached to you. I loved the emotional fervor she brings into a shirt left behind by her father. Throughout the poem, the shirt is symbolic of the remnants of a personal relationship between the father and the daughter that continues after his death. The alliteration in “the shirt smells of sweat” conveys the pleasantly intimate scent that makes personal connection with the daughter. The line "from all the bodies in the world, animal or human, only one exuded that sweat" reflects the uniqueness of her father and their binding relationship. She finally destroys the shirt by rough washing thereby metaphorically removing the precious memories associated with the shirt (“washing this shirt I destroy it forever”) and dispelling her father's haunting presence that returns with every washing. While it can be seen that washing the shirt will destroy precious memories, it can also be seen as a way to open a new chapter in her life by coming to terms with her grief. She decides at the end that the only thing that "survives [her father]" are his paintings that smell of oil, whereby the narrator is probably hinting at this being yet another aroma that would vividly remind her of her father, just as his sweaty clothes. 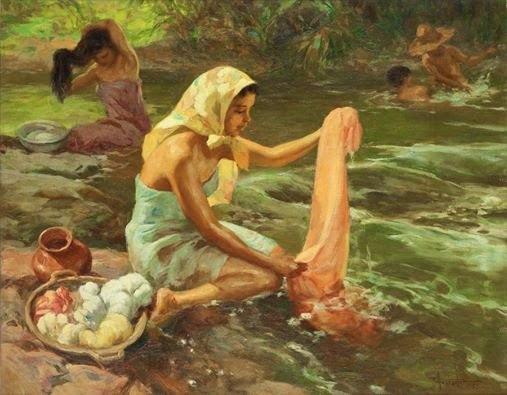 Perhaps, the images created in “smell of oils” are very impersonal as the paintings are merely artistic output of her father, which is bearable, compared to the smell of sweat on the shirt which is natural and distinctive. I loved this post! Someone said your blogs fairly often and you're always coming out with great stuff.